I am going to debunk the myths of ADHD and tell the truth about it once and for all. Answer: Forgetting things is something of intention, meaning that we do it on purpose and we have a special device that wipes specific memories from our minds. For example: people with ADHD do not like keys, they are necessary for too many silly things like, well, locks, so we wipe away the memory of where we put them. We can, and do, take memories of combinations, and people, and remove those too. Answer: We like to make the same mistakes over and over again. If someone chastises us enough or blames us enough for our lost memories or making the same mistakes then we can automatically correct our behavior just by not using the memory wiping device anymore, but we have taken a pact so we can’t use it for that. Everyone knows we have a memory wiping device, so it is not a secret anymore. The cat’s out of the bag! Why do we daydream or refuse to concentrate on uninteresting things? Answer: Since ADHD is really a secret ‘intention’ disorder, we intend to make people as mad at us as possible and frustrate them to no end. We enjoy the ridicule, the chastisements and especially the punishment. You cannot join the ADHD club if you do not have the right desire for rebuke. That’s why punishment doesn’t work. We live for it, the worse the better and so it’s very important that we do not concentrate on anything anyone wants us to. Instead we concentrate only on things of interest to us, not because it stimulates our desire, but to do otherwise would put us in good standing with teachers, the law and even worse, our parents. We can’t do that, it’s against our rules and would void our pact. See, I’ve only answered a few of the questions and I have set the record straight. So yes, those who claim ADHD is a myth are right, we really are doing it on purpose. We are born a member of the conspiracy, and if not born with it we are recruited in kindergarten into the ADHD top secret group. We take a secret pact and commit to never change, but instead we must act like we ‘want’ to change and that we ‘hate’ ADHD. For revealing our secret I now must move to a non ADHD island off the coasts of Normal and Average. 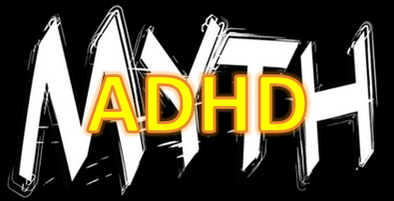 If you are interested in joining our ADHD club you must do so in kindergarten, any later and there is no acceptance. Those who are late diagnosed have used the memory wiping device on their kindergarten years and forgot they used it! In what ways are you debunking the myths of ADHD? Is Awareness the Answer to ADHD Suffering? How GOOD THINGS can come from BAD THINGS – How to Get Turned Up from being Turned down! The Funniest most Wonderful BESTest Video EVER! Previous post: ADHD POP Quiz – Take It!